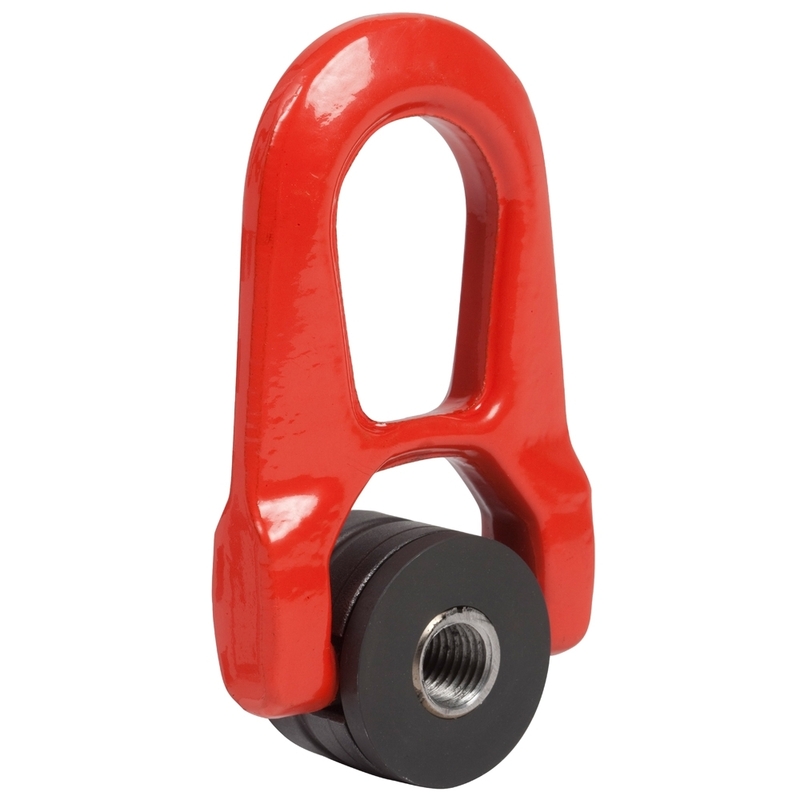 The female double swivel ring FE.DSR has been especially designed to guarantee lifts under load. Its double articulation allows it to line up perfectly with the sling. The female double swivel ring FE.DSR can be used with threaded parts in different lengths. Steel with high resistance, class 8. Easy to screw and very ergonomic. Allows the use of the existing fixation point (axis or overlaying threaded rod). Permits the hook to move parallel to the supporting face of the ring being drawn at 90 degrees. Plane hole or other threads on demand.